Liz Sheehan – Do you want to learn more about Natural Medicine? Liz Sheehan / Liz's Blog / Do you want to learn more about Natural Medicine? 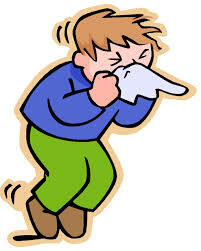 My son got sent home from school on Monday full of cold. I’ve been studying the chemistry of essential oils and gave them a go. I diffused a combination oil to help him breathe and massaged an immune boosting oil into his feet 3 times during the day. He was breathing easier in no time. Why are we not using this natural medicine more?! But that’s not the only part of this story. I also gave Finley vitamin C every hour, an immune boosting powdered supplement (for kids) to drink, immune boosting foods and let him rest. Because I knew what to give him and I had it ready in the cupboard he recovered super quick and was back at school today. So he recovered so quickly because I had what I needed in my cupboards and acted straight away. I will continue to dose him up before and after school for the next few days and we all benefit at home. We all breathe in the diffused air and I am alternating that with the immune boosting one and massaging it on all of our feet so we don’t pick up any lurgi. I have all this knowledge about Natural Medicine that I’d like to share. I want to teach you what you need to have in your cupboards so you have natural remedies to treat yourselves and your family members (young and old) at the first signs of a cold. I’m thinking about writing an ebook (need to learn how first!) with information about all kinds of natural remedies that you can have at home. A Natural Medicine first aid cabinet. I will teach you which nutritional supplements you need, aromatherapy oils, Australian Bush Flower Essences and how to use them. I will also add in information on immune boosting foods and herbal teas.